Healthy benefits of sugar palm as a healthy tree that can live for more than 100 years at which time it reaches a height of 25 to 30 meters. The leaves of the palm are greenish, sharp, radially outward. Thanks to their arrangement, the leaf strand is almost round. Leaf handles are jagged. Young plants begin to develop relatively slowly but then grow rapidly. Sugar palm is widely appreciated in India because of the juice that comes from it. It is said that it is so delicious, aromatic and seductive that there is no other drink in the whole country to compete with it. According to the local liquor, it is highly sedative and as if it enchants the one who drinks it. The fruit of the palm is rounded to a diameter of 20 centimeters. When ripe they get aubergine color, but in some places they remain yellowish. In order to be consumed, the fruit should be cut to the top, then the surface layer should be removed with the help of a knife. Sometimes it turns out to be a very difficult task, but local people are used to doing it and are doing fast. After cleaning from the top layer inside, white seeds are found that have a jelly-like structure and the aroma that is attached to them is associated with the scent of fruits such as melon, pineapple and quince. If the fruit is ripe, the outer layer may also be consumed. The inhabitants of Bengal use these fruits extensively in the culinary, putting them in different sweets. The palm fruit has a rich diet. They are a source of minerals. Potassium, iron, zinc, calcium and phosphorus are present in the composition. They also contain important vitamins. The tasty fruit contains vitamin A, vitamins from group B, vitamin C and others. Fresh palm seeds are also used for food purposes. They have a structure that is reminiscent of jelly and are very pleasant to taste. They can be cooked raw or baked or cooked. Busting of puree from them during the hot months acts cooling and energizing. The seeds of the tree are considered delicacies in India and other Asian countries. In the summer they are available on the local market, but only for a short time. Juices, nectars, shakes and other beverages are made from them. They also serve to make jellies, jellies, jams. They are used in fruit salads, creams and ice creams, blending with other exotic fruits such as papaya, mango and pineapple. The outer layer of the fruit, which is generally white, can also be eaten when it is ripe. It is also roasted and cooked. The palm shoots are used for juice extraction. They are cut, and the fluid flowing through them is collected by means of special hanging pots. The juice collected in the early hours of the day is refreshing, sweet and light. His name is Thaati Kallu. If the evening gathers, it is called Tadi. This fluid is relatively more acidic than Thaati Kallu. Fermented Juice Tadi is consumed by some residents of Maharashtra as an alcoholic drink. From the young inflorescences of the tree, a liquid called Toddy can be obtained. Toddy is fermented to get a drink called Arak. 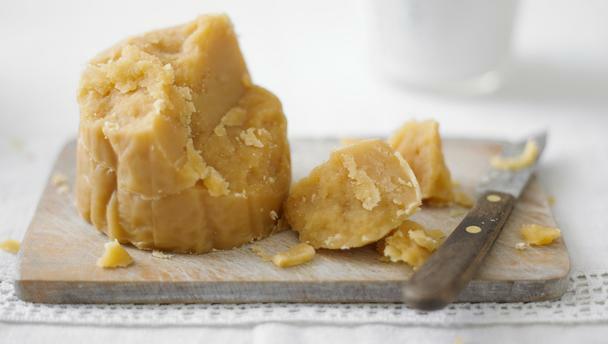 Liquid can also produce raw sugar called jaggery or Taal Patali among the Bengalians. In Indonesia, it is called Japanese sugar. This sugar is widely used in the culinary island of Java. The various parts of the palm are used for a variety of purposes. For example, the leaves of the plant can be knit baskets, mats and other bedding. Roofs and umbrellas, as well as hats and writing materials, are made of them. In Indonesia the palm leaves have been used as paper by the representatives of ancient cultures. This kind of paper they called lontar. Fences were made of the parts of the tree, and fibers were also used for cords and brushes. Robust and reliable wood is highly valued in construction. In some places there are also vessels. 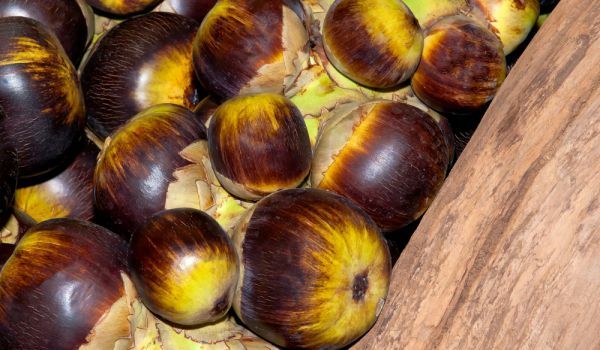 Since the fruit of the palm tree is very nutritious, if these plants begin to grow on farms, this could help solve the world problem of malnutrition. Therefore, the importance of the Borassus flabellifer plant should not be underestimated at all. The health benefits of this plant are not well studied yet. So far, it is known that because of its rich composition, the consumption of the fruit of the sugar palm strengthens the immunity. They are recommended for people who get tired fast and have a bad tone. It has also been proven that fruit pulp is used to treat dermatitis and other skin problems.